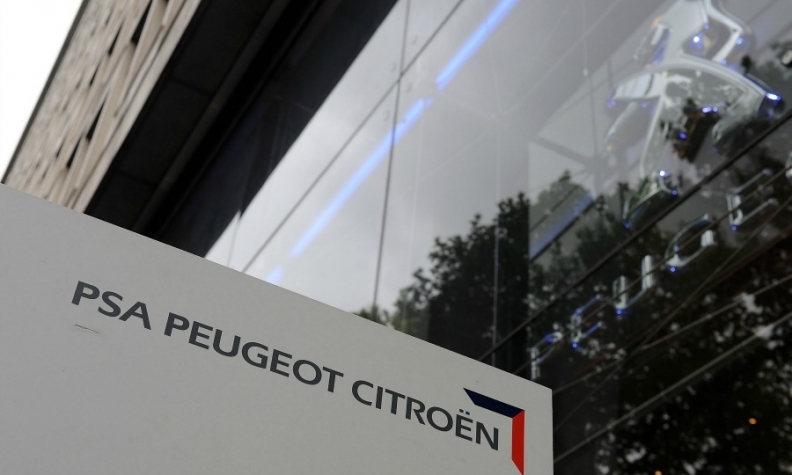 PARIS -- PSA/Peugeot-Citroen said it is in talks on potential new overseas partnerships after a Chinese newspaper reported that Dongfeng Motor may buy a 30 percent stake in the French automaker for 10 billion yuan ($1.63 billion). PSA declined to comment on the report, saying only that it is examining new industrial and commercial development projects with different partners, "including the financial implications that would accompany them." "We have a partnership with Dongfeng and we are looking at how how we can expand it, but nothing more has been decided," a PSA spokeswoman told Automotive News Europe. China Business News reported on Tuesday that Dongfeng plans to buy a 30 percent stake in PSA for 10 billion yuan, citing an unidentified Dongfeng official. An investment from Dongfeng would help PSA to shore up its finances and aid the automaker's efforts to expand outside Europe where the auto market is set to sink for a sixth straight year. Florent Couvreur, an analyst at CM-CIC Securities, said PSA needs cash. "The two main questions are: how much do they need and where will they find the money? I'm betting they need about 2 billion euros to face their debt obligations in 2014," he said. PSA and Dongfeng already operate three assembly plants together in China and the two automakers said last month that they are talking about deepening their partnership. Dongfeng said the company is doing "preliminary research" on a PSA investment. PSA CEO Philippe Varin said in September that he was examining all options to deepen the Dongfeng partnership, with a focus first on industrial cooperation before any financial links. PSA reported a first-half operating loss in its automotive unit of 510 million euros. The automaker is cutting 11,200 French jobs and closing a factory outside Paris to reduce spending. Varin has pledged to reduce the manufacturer's cash-consumption rate by 50 percent in 2013 after burning through 3 billion euros last year. PSA is negotiating with unions to reduce overtime pay and freeze salaries, in exchange for increased French production and investments over the next three years, to lower labor costs. Any share sale to an outside investor is contingent on the success of those talks, Christian Lafaye, head of the FO union at PSA, said. A stake purchase of 30 percent would also raise legal questions as well as potential hurdles with the two largest investors, the Peugeot family and General Motors Co. Under French law, anyone buying a 30 percent stake or more in a listed company must make a tender offer on all the remaining shares, Florence Gaubert, a spokesman for French markets regulator AMF, said today. A stake sale could lead the Peugeot family, which currently has 25.5 percent of the shares, to lose control of the French company. PSA investors voted in April to give management the option of issuing new shares in the company, or securities convertible to stock, worth as much as 50 percent of the capital as of March 12, 2013. Current owners have a pre-emptive right to purchase shares in any increase exceeding 20 percent. General Motors is PSA's second-largest shareholder behind the Peugeot family with a 7 percent stake. Last month, GM Vice Chairman Steve Girsky said GM's partnership with PSA would survive even if Dongfeng takes a stake in the French automaker. The tie-up for joint manufacturing, purchasing and vehicle development is a key part of GM's plans to fix its ailing European operations. GM has the option to terminate the alliance in the event of a change in control of the French manufacturer, according to PSA's annual regulatory filings. PSA's stock has more than doubled this year, valuing the manufacturer at 4.4 billion euros ($5.95 billion).